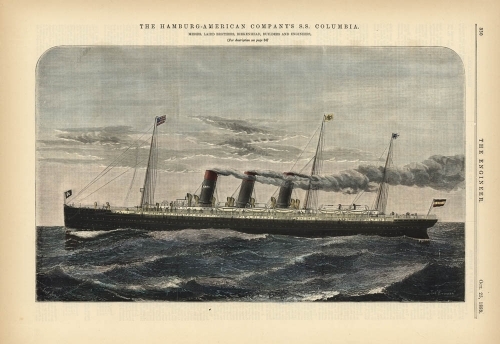 THE HAMBURG-AMERICAN COMPANY'S S.S. COLUMBIA. Image size 8 x 13 3/8" (20.3 x 34 cm). Publisher : Published by The Engineer. Oct. 25, 1889. Messrs, Laird Brothers, Birkenhead, Builders and Engineers.